Hams in the U.S. will soon have two new bands on which to operate, experiment and contribute to the collective knowledge of "the radio art." In a Report and Order issued on March 30, the FCC approved creation of secondary amateur allocations at 135.7-137.8 kHz (2200 meters) and 472-479 kHz (630 meters), the first amateur bands with wavelengths above 200 meters since the dawn of radio regulation. The new bands come with lots of strings attached, since they will be shared with "PLC" systems used by electric utilities to control the nation's power grid. 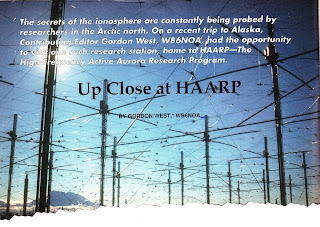 Hams will be limited to fixed station operation, antennas no higher than 60 meters (196 feet) above ground and radiated power limits of 1 watt effective isotropic radiated power (EIRP) on 2200 meters and 5 watts EIRP on 630 meters (1 watt in some parts of Alaska). Plus, operation on these bands will not be allowed within one kilometer of electric transmission lines using PLC and advance notice of all planned operation to the PLC network coordinator will be required. Access to the bands will be open to all hams holding a General Class or higher license, and any mode may be used as long as it fits within the bands' very narrow bandwidths. An effective date was not announced since additional government approvals will be required before the rules can be finalized. CQ will have more about the order and its implications in the next "MF & LF Operating" column in the July issue (the column debuts in the upcoming April issue). 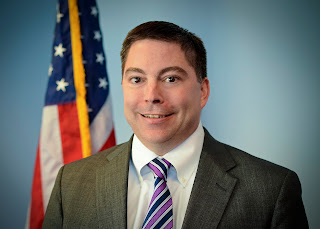 The complete text of the Report & Order (which is over 60 pages long) may be found at <https://apps.fcc.gov/edocs_public/attachmatch/FCC-17-33A1.docx>. More bad news for builders: RadioShack has again filed for protection under Chapter 11 of the bankruptcy laws, leading to the closing of even more stores across the country. It is the retailer's second attempt at reorganization in the past two years. A company news release said it will be closing about 200 more stores and will be "evaluating options" on the remaining 1300. Another blow for circuit designers and builders is the announcement in March by International Crystal Manufacturing that it will be going out of business, most likely by the end of May. No reason was given for the decision in the letter posted on the company's website. Ham Radio Outlet (HRO) has closed its Sunnyvale, California location, consolidating it with its store in Oakland, some 40 miles to the north. National Sales Manager Steve Gilmore blamed skyrocketing costs as well as traffic and parking problems for the decision to close the chain's Silicon Valley location. Commenting on its own petition for expanded frequency privileges at 5 MHz, the ARRL in March told the FCC that its proposal comprises the best balance between added privileges for hams and continued protection of the 60-meter band's primary users. According to the ARRL Letter, the League said neither the final decision of the 2015 World Radiocommunication Conference nor proposals for more frequencies or higher power than it proposed will meet the needs of all users. The WRC-15 action created a worldwide secondary amateur allocation on the band at 5351.5 to 5366.5 kHz, with a maximum effective isotropic radiated power (EIRP) of 15 watts. The ARRL asked that the FCC add those frequencies, but keep the four currently allocated channels that are not in the WRC band segment, as well as the current US power limit of 100 watts EIRP. The League said reducing permitted power to 15 watts "would render the band unsuitable for emergency communications, especially between the US mainland and the Caribbean Basin during summer storms and the hurricane season." 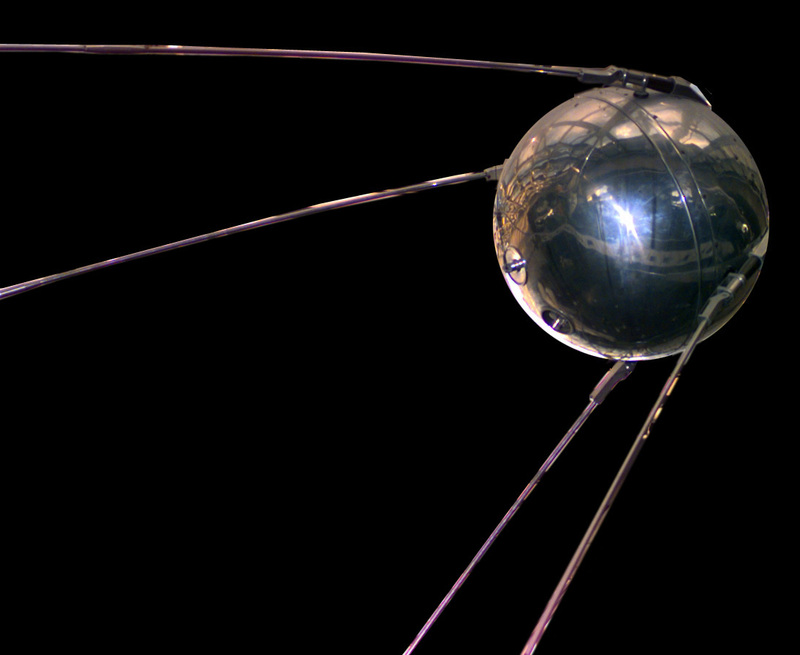 A museum in England is looking for people willing to share their memories of the launch of Sputnik by the then-Soviet Union in 1957. 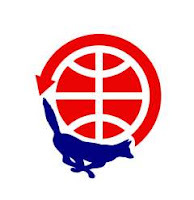 According to the ARRL, the Scott Polar Research Institute Polar Museum at Cambridge University is putting together an exhibition to commemorate the 60th anniversary of the International Geophysical Year (IGY) in 1957-58. Its focus will be on Sputnik, the establishment of scientific bases in Antarctica and the people involved in IGY research. Noting that "many thousands of people from all of the world" were involved in IGY activities, museum Curator Charlotte Connelly said, "We'd like to capture some of those experiences … and show the phenomenal reach of this important moment for global science." 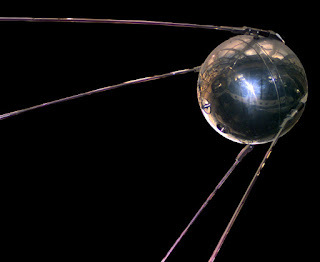 Anyone interested in sharing a Sputnik story – or perhaps other IGY-related stories – should e-mail Connelly at <museum@spri.cam.ac.uk>. A new law requiring the Federal Aviation Administration (FAA) to enact certain new tower marking rules is too broad, according to FCC Commissioner Michael O'Rielly, "and could use tweaks." The ARRL Letter reports that O'Rielly said the law could "force expensive retrofits to practically 50,000 existing towers," including broadcast and cell towers, "with little gain to air safety." The law's primary goal is to protect small low-flying aircraft such as crop-dusters from colliding with temporary meteorological testing towers, or METs. But O'Rielly said it is so broadly written that it could potentially affect tens of thousands of other towers that really do not need to provide the additional markings. Amateur radio towers were not specifically cited by O'Rielly, and the ARRL says the rules called for by the new law would affect only "a very small subset" of ham towers. We have news this month of three widely-separated activities with similar goals of increasing young people's interest in amateur radio. The World Association of Girl Scouts and Girl Guides' annual "Thinking Day on the Air" event took place in February, with groups of young women learning about amateur radio and getting a chance to get on the air. It's the Girl Scouts' version of the Boy Scouts' annual Jamboree on the Air. The ARRL Letter reports on activities in Massachusetts, New Hampshire, Maryland and Nebraska that drew large numbers of interested scouts. For more info on Thinking Day on the Air, visit <http://www.guides-on-the-air.co.uk>. In Australia, Tony Falla, VK3KKP has outfitted an old public bus with a ham station designed to give young people an opportunity for hands-on discovery of ham radio's magic. Newsline reported on a recent demo for a group of Venture scouts, who made a chance contact with a ham in New Zealand who was operating from a mountain cabin with just a radio and a battery. Many of them decided to follow up and get their Foundation licenses (Australia's beginner license). Falla was also written up recently in an Australian newspaper, in an article titled, "My Place: The Science of the Hams." Finally, a group of students in Virginia used ham radio to talk with the crew of a research vessel in the South Pacific that is using advanced technology to search the ocean floor for the remains of aviator Amelia Earhart's ill-fated Electra, which disappeared in 1937 on an attempted round-the-world flight. The ARRL Letter also reports that the ship's crew had the opportunity to make a ham contact with International Space Station Commander Shane Kimbrough KE5HOD, at the ISS ham station NA1SS. Some Russian-speaking crew members on the research vessel also got to talk with one of the Russian cosmonauts aboard the orbiting station. Speaking of the International Space Station, the ARRL Letter reports that the Amateur Radio on the International Space Station (ARISS) program is "one giant step" closer to sending a whole new ham station up to the ISS. The plan is to eventually install a Kenwood TM-D7100GA-based system on the station as part of an effort to permit greater interoperability between the two separate ham stations currently on board, one on the Columbus module and the other in the Russian service module. The recent step was successful preliminary test of the breadboard version of a custom-designed multi-voltage power supply at the Johnson Space Center's Electromagnetic Compatibility Lab. The next steps will be to build prototype and flight units. ARISS is seeking contributions to help cover the costs of building the new station for the ISS. On the topic of radios in space, there's been another schedule shift and "gate change" for AMSAT's Fox-1Cliff and Fox-1D satellites. Both had been slated to be launched together later this year by a SpaceX Falcon 9 rocket. Now, according to the AMSAT News Service, Fox-1D has been rebooked on an Indian launch vehicle scheduled to lift off late this year; Fox-1Cliff will ride a different Falcon 9 scheduled for launch from California either late this year or early next year. AMSAT is also waiting for upcoming launches of the RadFxSat and RadFxSat-2 satellites. transmission using the Opera weak-signal digital mode. The AMSAT News Service and the South African Radio League both report on a new moonbounce achievement by two amateurs in Spain – the first reception of signals off the moon using the "Opera" weak-signal mode. EA5DOM was listening for Opera signals transmitted by EA3HMJ. Initial tests on 1296 MHz resulted in a visible trace that was too weak to decode. That was followed by a successful decode on 70 MHz, the 4-meter band, which is available to hams in many parts of Europe and Africa. EA5DOM promised more tests but noted that "one decode was worth the effort." [Tnx Southgate AR News for the link]. Is there a young ham in your community - or in your family - who's doing incredible stuff with or for ham radio? Is he/she helping to advance radio technology? Performing significant public service? Helping to promote the hobby in innovative ways? Consider nominating that young person for Amateur Radio Newsline's annual Bill Pasternak Young Ham of the Year award, of which CQ is a proud co-sponsor. The nominating period is open until May 31. Nominees must be 18 or younger and live in the United States or its possessions, or in Canada. Complete information and nominating forms are available online at the YHOTY tab on <www.arnewsline.org>. Three leading radio amateurs and one club will be recognized for their contributions to our hobby next month by the Dayton Hamvention.® The Dayton Amateur Radio Association's Amateur of the Year for 2017 is Frank Bauer, KA3HDO, chairman of the Amateur Radio on the International Space Station (ARISS) program. CWops co-founder and former president Rob Brownstein, K6RB, wins this year's Technical Achievement award for the CW Academy program, through which more than 800 hams have been mentored in Morse code skills. Dayton's Special Achievement award goes to S. Ram Mohan, VU2MYH, Executive Vice Chairman and Director of India's National Institute of Amateur Radio, and the 2017 Club of the Year is the Clark County Amateur Radio Club, W7AIA, which serves southwestern Washington and northwestern Oregon. The club licensed 95 new hams last year, has a growing youth program and created the "Eyewarn" program, which was featured in the October, 2016, CQ Emergency Communications special issue. The awards will be presented at next month's Dayton Hamvention® in Xenia, Ohio. Speaking of the Hamvention and Xenia, the ARRL reports that Xenia High School has decided to cancel classes on Friday, May 19, to allow students to attend the Hamvention's opening day. The world's largest hamfest will be held in Xenia for the first time this year, following the closure last year of its longtime home, Hara Arena. 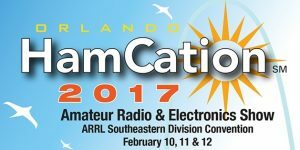 The 2017 Orlando Hamcation® set a new attendance record, which may now make it the world's third-largest hamfest. According to the ARRL Letter, official attendance this year at Orlando was 19,000, up 2,000 from 2016 and higher than Europe's largest hamfest, "Ham Radio" in Friedrichshafen, Germany. The only two larger hamfests are the Dayton Hamvention and the Tokyo Ham Fair in Japan. 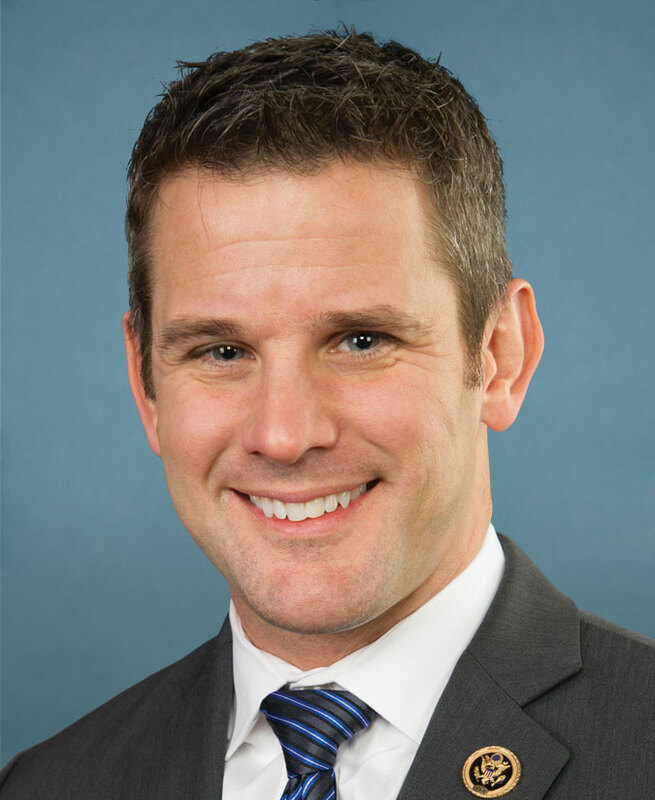 Amateur Radio Parity Act sponsor Representative Adam Kinzinger has been honored with the ARRL's Barry Goldwater, K7UGA, Achievement Award for 2017. The Illinois Republican has sponsored the bill to require homeowners' associations to permit some form of outdoor amateur radio antennas in the last three sessions of Congress. The bill has passed the House twice, but has yet to come up for a vote in the Senate. 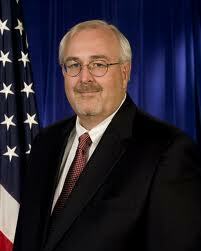 Former Federal Emergency Management Agency Administrator Craig Fugate, KK4INZ, says the agency is willing to work with any amateur who has key information in an emergency, regardless of whether that amateur has formal emergency communications training or is a member of an EmComm-focused group, such as ARES or RACES. According to the ARRL Letter, Fugate told "Ham Radio Now" host Gary Pearce, KN4AQ, that "(t)raining is great," but "(w)e shouldn't think it's exclusionary." He said FEMA needs to be responsive even to a ham without formal training "because that person may be the only one up and running," adding that "If you have the luxury of being exclusionary, it's probably not a bad disaster." The Letter also reported that Fugate told a House committee at the end of February that his former agency needs a new, and experienced, administrator soon, noting that "It's not a good job (in which) to do on-the-job training." As press time, a permanent FEMA administrator had not yet been nominated by the president. Old-timers may remember the "Russian woodpecker," an over-the-horizon (OTH) radar system in the 1980s that moved through the HF spectrum, creating major interference on the ham bands whenever its signal passed through. Now, according to the ARRL Letter, a mysterious foghorn-like signal has been disrupting communications on the 40, 30 and 20-meter bands. The IARU's Region 1 Monitoring Service says it has traced the source of the signal to a Chinese OTH burst radar system. The FCC responded to the ARRL's January petition to expand the 5-MHz (60-meter) band by requesting public comment on the proposal. The comment period opened in mid-February and closes on March 20. The League is asking the Commission to authorize a new, non-channelized, amateur allocation between 5351.5 kHz and 5366.5 kHz, to match the international allocation approved at the 2015 World Radiocom- munication Conference (WRC-15), as well as keeping four of the five current channels on the band (the fifth is within the band segment noted above). The petition also asks the FCC to retain the current 100-watt PEP power limit for the entire band, as opposed to the 15-watts EIRP limit set by WRC-15. The next step in the process would be for the FCC to issue a Notice of Proposed Rulemaking (NPRM) to implement the request. The International Space Station (ISS) has a new 2-meter handheld radio, replacing the original Ericsson MP-A VHF rig that failed last fall after 16+ years of service. 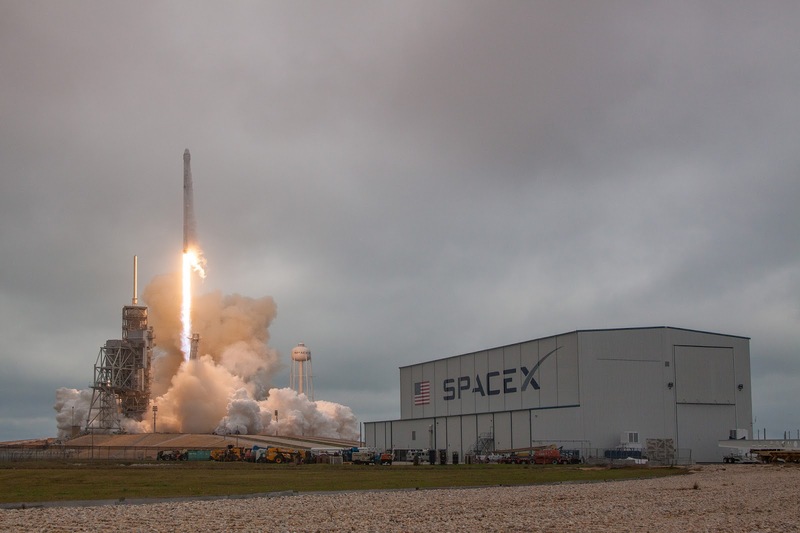 The new HT was part of the supply package delivered to the ISS by the SpaceX Falcon 9 rocket that was launched from the Kennedy Space Center on February 19. ARISS Chairman Frank Bauer, KA3HDO, told the ARRL that the new handheld is only an interim measure until fundraising and testing are complete for a new "interoperable radio system" that ARISS hopes to launch in the not-too-distant future. Lew Gordon, K4VX, of Hannibal, Missouri, became a Silent Key on February 25 at the age of 87. He had been suffering from cancer, but the ARRL reported that he had remained active on the air until the time of his death. Gordon served in the Air Force during the Korean War and later worked for the CIA. An avid contester and mentor of young contesters, Gordon was elected to the CQ Contest Hall of Fame in 1996. He also served for six years as ARRL Midwest Division Director in the 1990s. 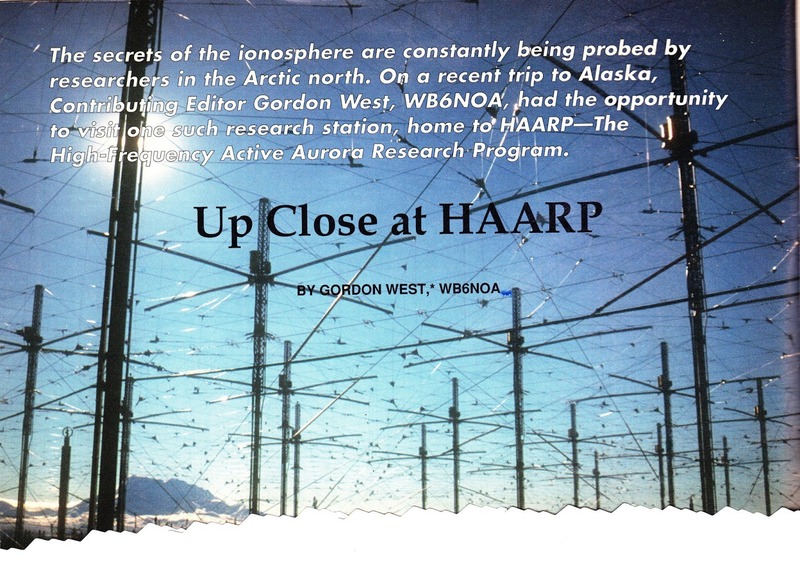 The newly-reactivated High Frequency Active Auroral Research Program (HAARP) facility in Alaska was back on the air in February under the auspices of the University of Alaska-Fairbanks. There were two types of experiments, according to the ARRL Letter. One was called "airglow" and was an effort to create an artificial aurora. The second was a transmission of a series of tones to test the so-called Luxembourg effect," in which tones transmitted on two different frequencies mix in the ionosphere to reflect back a combination of the tones on a single frequency. Reception reports were requested. Stay tuned for more tests in the future. Educators interested in scheduling contacts with the International Space Station (ISS) through the Amateur Radio on the International Space Station (ARISS) program have until April 15 to submit applications for possible dates in the first half of 2018. According to the ARRL, ARISS is seeking proposals "from schools and organizations that can attract large numbers of participants and integrate the contact into a well-developed education plan." Proposal information and documents may be found on the ARRL's website at: <http://www.arrl.org/hosting-an-ariss-contact>. Information sessions are scheduled for March 7 at 0000 UTC (7:00 p.m. March 6 EST) and March 16 at 2000 UTC. Pre-registration is required via <ariss@ariss.org>. Emirates-OSCAR 88 - the United Arab Emirates' first amateur radio satellite, is in orbit and on the air. 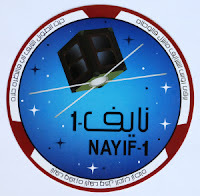 Previously designated as Nayif-1, the nanosatellite was one of a record 104 satellites launched on a single rocket from India on February 15. The ARRL reports that it carries a FUNcube communication package which includes a dual-band linear transponder for SSB and CW (uplink 435.045-435.015 MHz; inverting downlink 142.960-145.990 MHz) as well as a telemetry transmitter on 145.940 MHz. Prior to beginning regular service, the satellite transmitted a pre-recorded message from Dubai's ruler and United Arab Emirates Prime Minister Sheikh Mohammed bin Rashad. The message, in Arabic, says, "The renaissance of peoples, nations and civilizations starts with education; and the future of nations starts at their schools."